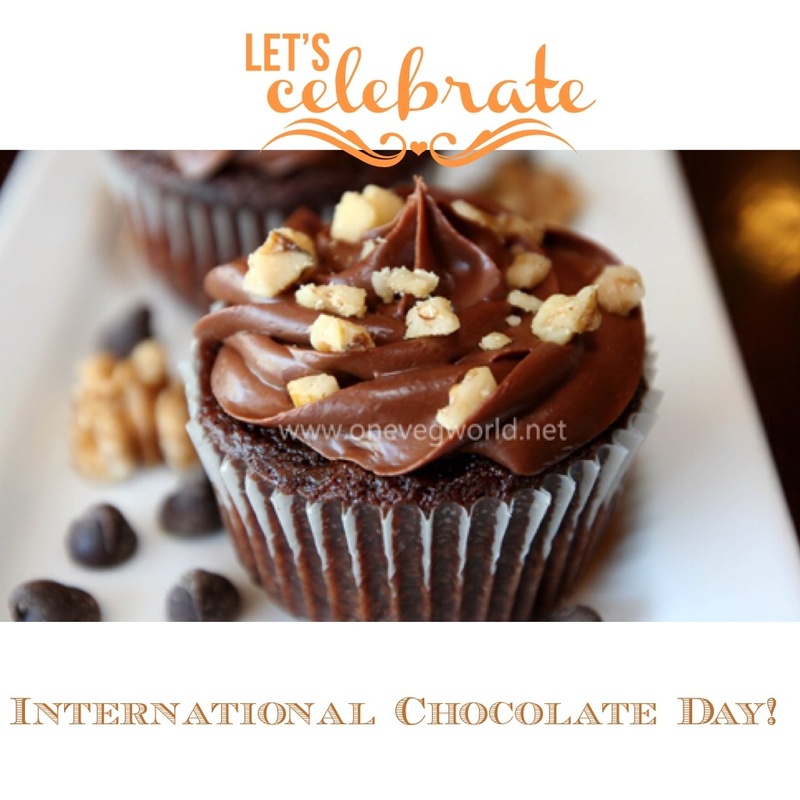 Not that you would need to find any excuse to eat chocolate… 🙂 Happy International Chocolate Day! Visit One Veg World today to indulge in this month’s dessert special: Vegan Brownie Cupcakes, or try some of the vegan chocolate bars available in our vegan mini-mart! All our special cupcake flavors are available from our bakery for pre-orders of a dozen or more. Vegan tuno, mixed with celery and Follow Your Heart mayo, on wheat bread with lettuce, tomatoes, and mustard. Served with a side of fries. 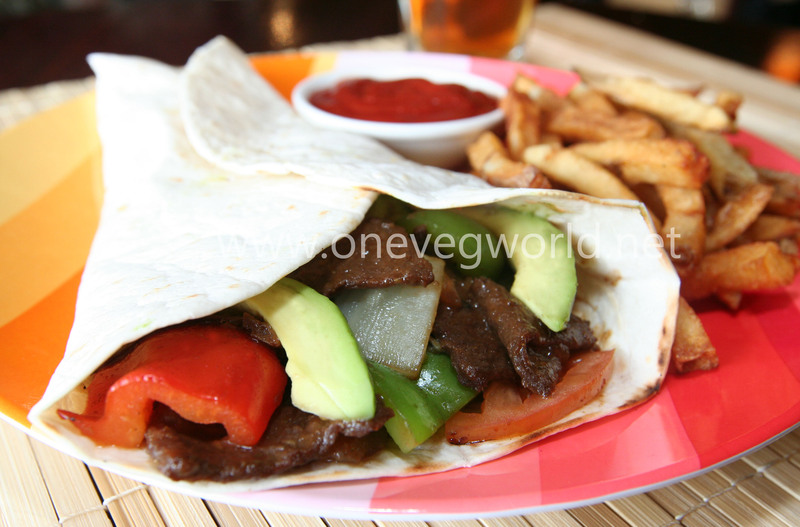 Flour tortilla wrapped with soy teriyaki, bell peppers, onions, tomatoes, avocado, and salsa. Served with a side of our fresh fries. Due to the many requests, we are now offering our Weekly Specials as Monthly Specials. We hope this will provide everyone with a chance to come in during the month for their favorite specials. Many thanks for all your feedback.